By the age of 11, Taylor Wilson had mastered the science of rocket propulsion. 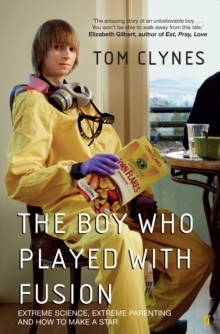 At 13, his grandmother's cancer diagnosis drove him to investigate medical uses for radioactive isotopes. And at 14, Wilson became the youngest person in history to achieve nuclear fusion. 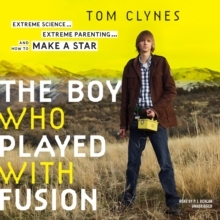 How could someone so young achieve so much, and what can Wilson's story teach parents and teachers about how to support high-achieving children?In The Boy Who Played with Fusion, science journalist Tom Clynes follows Taylor Wilson's extraordinary journey - from his Arkansas home where his parents encouraged his intellectual passions, to the present, when now-17-year-old Wilson is winning international science competitions with devices designed to prevent terrorists from shipping radioactive material into the US. 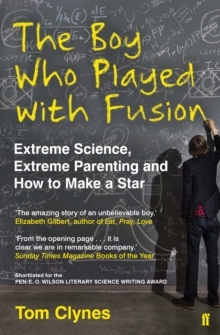 Brilliant, funny and inspiring, The Boy Who Played with Fusion will delight anyone who believes in the ability of gifted children to change the world.